Make sure everyone knows it's your big night with these fabulous Hen Party Bridal Sashes. Absolutely perfect for Hen Parties, this pretty pink sash is stylish and attractive. The sash features an bold pink font and fascinating silver heart detailing. 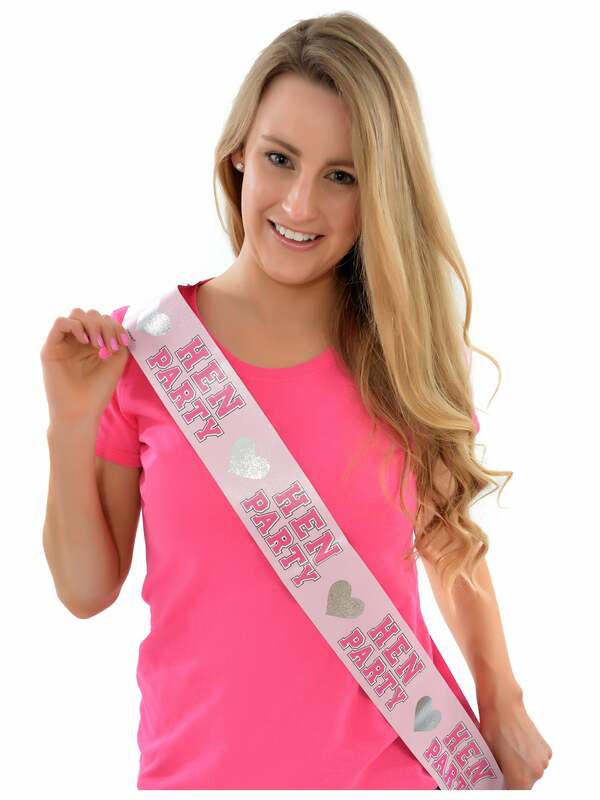 Why not add a Maid of Honour Sash and Personalised Hen Party T-Shirt to complete the ensemble? The sashes are not too bad for the price however please note that the writing is only on the front and not the back. These sashes are very small and do not look right on anyone over a size 14/16.